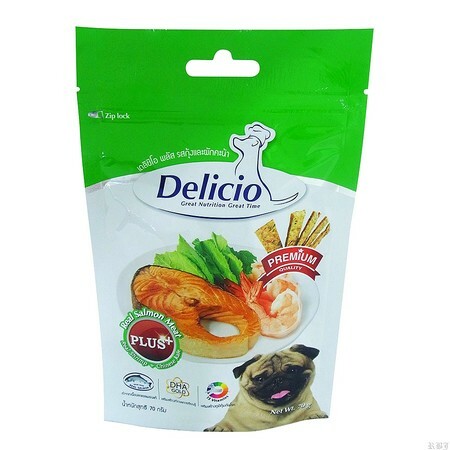 Delicio Real Salmon made with real salmon meat. 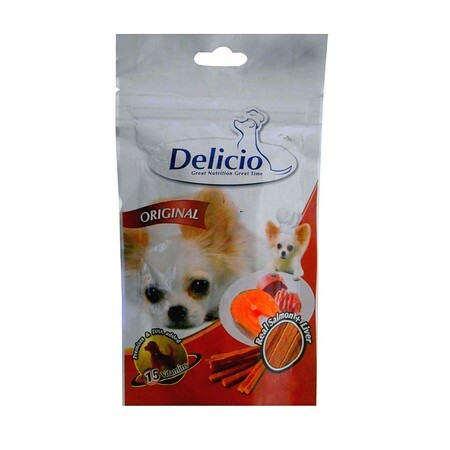 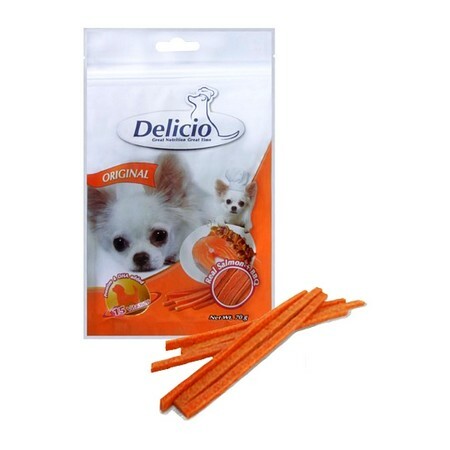 The soft and chewy salmon treats are the most tasty and are ideal dogs of every size. 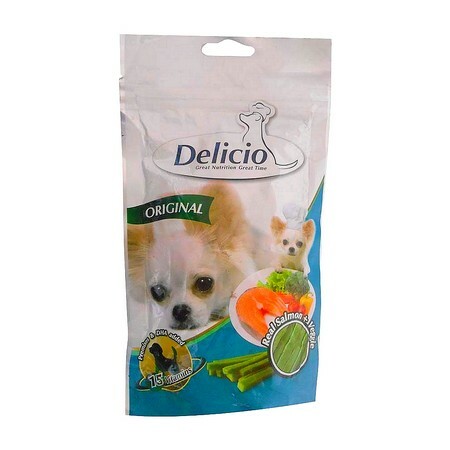 With high Omega-Plus the complex and other nutrients, the delicio promotes a gleaming healthy skin and coat while providing minerals and vitamins to the dog for better health.